Logies announce new categories, voting to open shortly. 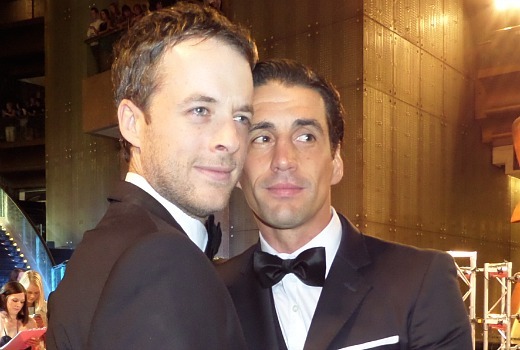 TV Week has announced several changes to the Logie Awards for 2016. In the public-voted categories it will introduce a Best News Panel Or A Current Affairs Program. It will also reinstate Best Factual, dropped in 2014, following some concerns shows were merged into the Reality category. Promisingly it will also introduce a Most Outstanding Supporting Actor and Most Outstanding Supporting Actress in the industry-voted awards. 2016 will include original Australian program submissions from subscription streaming services*. “We are excited to announce some new awards to the 58th TV Week Logie Awards, as we continue to evolve the awards, to give fans the chance to vote on the best shows and biggest stars on TV,” TV Week Publisher Jayne Ferguson says. “The introduction of new industry voted awards for acting highlights our commitment to supporting outstanding Australian talent. We are looking forward to another fabulous celebration of everything that makes Australian television special and unique.”16. TV Week has also appointed is Sally Burleigh of SBPR to manage their Public Relations and Kerry O’Brien Publicity to manage the red carpet and onsite media operations. The 2016 Logies will be held Sunday 8 May at Crown and air on Nine. *Programs must meet the criteria of the rules and guidelines. Hey David, just looked at the online voting form. They have changed the name of all the public voted awards to “Best xxxxx” instead of “Most Popular xxxxxx”. Does this mean they’ve cut down on other categories, or will it be a weird and confusing blend of “Best Actor” and “Most Outstanding Actor”? Very curious branding. I have asked the new Publicist twice, but am yet to receive a response. They won’t return comedy while they have limited entries per network. The top 4 comedies would all be from the ABC. The logies is completely flawed because it discounts the possibility that all the best shows for a specific category could be from the one network. I would absolutely love for someone (Bauer?) to publish a book on the history of the Logies, including all of the nominees and winners for every category since the Logies’ inception. David, do you know if they have anything like that planned for the 60th anniversary? Not that I have heard of. Maybe a collector’s edition of the mag? Voting at the end of the year makes much more sense – rather than trying to vote half way thru the next year for the preceding year. Good they always shuffle the categories around to represent the change in shows. Although, what defines a “Support Actor” or Actress in a show like H&A etc…..??? With so many funny people on TV at the mp -think Have you Been Paying Attention] I’d hope they will consider a host – tho the job may be way too tainted from past attempts…..
Would have been nice to split the Most Popular Presenter into Male and Female. And the Most Popular Drama should have been split into Series and Limited Series/Special. And I can’t remember – but is there a Most Popular Comedy Series/Special award – or is still lumped in with the Light Entertainment category? AACTA returned Comedy category, Logies has not. fantastic about time. i really hope next year they show every category and the winners, because this year The Living Room beat Better Homes and they didnt show that category on the show. That’s the first thing I thought when I read this story. The worst thing about the Logies telecast in recent years has been the fact that some categories weren’t shown. I was so happy that The Living Room finally won but peeved that I didn’t see them win or hear what would have been an excellent acceptance speech. I tried to organise a chat for the show to write about how they had finally toppled BH&G but didn’t get very far with TEN. Shame…. Great idea for the Supporting Actor and Actress awards. That’s a positive for the Logies. A good idea for the News Panel/ Public Affairs Award too. I wasn’t too fussed about some factual shows going into the Reality award last year, but it doesn’t bother me that the factual award is back. Hopefully sports program is finally dumped, such a narrow sub-genre gets its own award while sitcoms& comedies need to compete in the crowded “light entertainment’ category alongside DWTS and sunrise. The only problem with more categories is that more will end up as quick cut scenes after an ad break rather than get the full treatment. I have asked if any categories are being cut.